I recently saw a list of “top Canadian blogs to follow” and thought it was interesting. Half the blogs on the list don’t update often (once a month!) so I was wondering how that could be a top blog? To me, a top blog updates regularly offering insightful, meaningful and engaging articles and content. I’d expect a TOP BLOG to update more than once a month or even week. Why follow a blog that doesn’t have anything new to offer? I did a little bit of digging and saw that if you PAID a monthly fee you could be listed on this one specific list. No thank you. I’m not sure how one gets on other lists but personally, I look for blogs to follow that have new and engaging content. I love reading blogs that don’t come across as know it all, instead shares information from their own personal journey and wants to relay that to the reader. In my honest opinion, a top blog should offer a variety of things: Articles, Recipes, DIY/Crafts and great photos. With that in mind, I thought I’d share my absolute favorite blogs. I don’t read blogs daily, I check my list of blogs I like to follow once a week so that I have some stuff to read and catch up on! Some are food, some are parenting and others lifestyle. These are the top 10 blogs I read weekly and think you’d really enjoy following as well – also, none of them paid me to be on this list. I genuinely think they are incredible bloggers, photographers, people, and writers. Take a look! 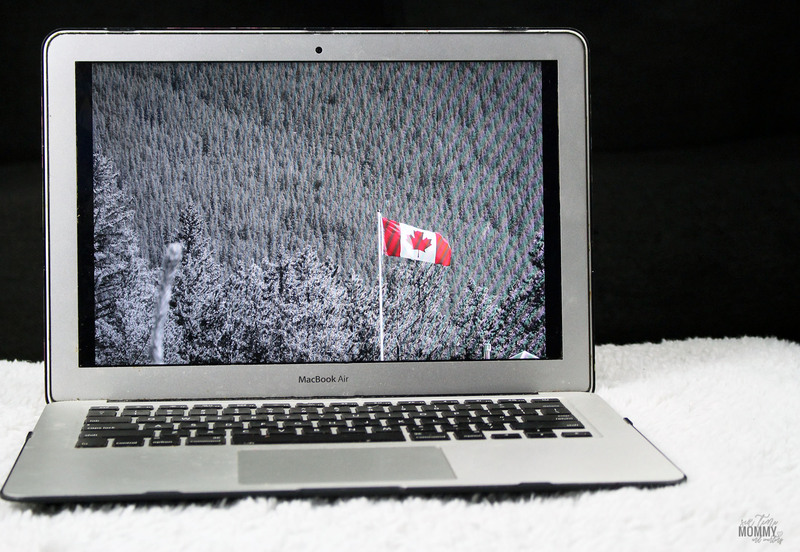 My Favourite 10 Canadian Blogs – I read weekly! HOME WITH ANETA: Not only is Aneta one of the nicest people I’ve ever met, but she is also an extremely amazing cheerleader and uplifting person to follow. Not only does she blog regularly but she posts to social a lot and if you follow her Instagram you’ll always find uplifting quotes and words to help you push through your day. SIMPLY STACIE: Looking for a recipe with gorgeous photos and remarkable tastes? Stacie has recipes for days. She also shares Organization tips and offers free meal planners and other helpful printables. WHISPERED INSPIRATIONS: Nancy shares amazing travel content as well as crafts, recipes and lifestyle posts that will help you pick useful products for your family and home as well as home decor ideas and tips! THE BEST OF THIS LIFE: One of my all-time faves, Emily has amazing reads. From recipes to tips to beauty to parenting! Her photos are stunning and her writing is extremely easy to read. RENEE M LEBLANC: Gorgeous photography and stunning style, Renee shares products, tips and gorgeous styles that every mom or gal can take notes from! THE BEWITCHIN’ KITCHEN: Randa offers amazing recipes and gorgeous photography with easy to follow and great instructions. Randa also offers amazing tips and how to’s to help you live your best life! 5 MINUTES FOR MOM: With recipes, crafts and DIY galore Janice and Susan have it all. With gorgeous photography and articles that touch on parenting, pet care, time management, and special needs. There’s something for everyone at 4 Minutes for mom! LISTEN TO LENA: Doesn’t matter if you are looking for beauty, food, family or lifestyle. Lena touches on it all and has gorgeous photography that you can’t help but drool over! MOMMY MOMENT: Jody updates often and offers articles, recipes, and DIY that will keep you entertained and engaged. With giveaways and recipes for the everyday family, there is something for everyone to follow along! SIX TIME DADDY: Sure, I may be a little bit bias with this one but I think my husband has a fabulous blog to follow. His writing style keeps you entertained and engaged and he offers up a unique perspective from a dad of 8. If you are looking for new blogs to follow all of the above have amazing content that is sure to please. Keep you engaged and interested. Not only do they ALL offer amazing content but they also update often, and are regulars on social media so following them there as well would be a great way to keep up!